Experience the dazzling show from three beautifully matched diamonds in this exceptional three stone trilogy engagement ring set with round diamonds. Trieste benefits from flowing, modern styling within a three stone Engagement Ring with the reassurance of security for three beautifully matched equally-sized Diamonds. 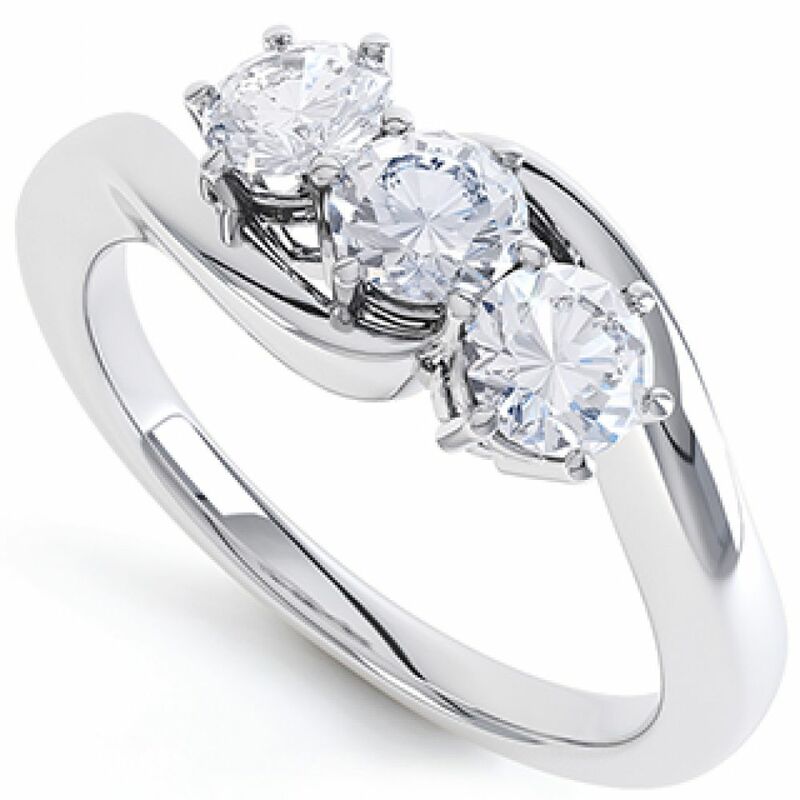 Choose from a wide range of carat weights and precious metals and fully personalise your ring. Each ring design is meticulously created to your exact specifications with the greatest care and attention to detail. Your commission will include white visibly clear Diamonds (G SI1) with a choice of Diamond sizes, set above a durable and substantial 2.5mm band. Additional benefits include a 6 claw security for each Diamond Please allow 3-4 weeks for completion of your commission which will arrive beautifully presented as shown in the additional photographs. Photograph showing the 1 carat Trieste design, set with 3 x 0.33cts diamonds in 950 Platinum.